Google is de-indexing and blocking sites enabled with the RevSlider plugin. By using a security loop hole found in the WP premium plugin RevSlider, SoakSoak modifies a file in a site’s WordPress installation and loads JS malware. “The biggest issue is that the RevSlider plugin is a premium plugin, it’s not something everyone can easily upgrade and that in itself becomes a disaster for website owner. Some website owners don’t even know they have it as it’s been packaged and bundled into their themes”. 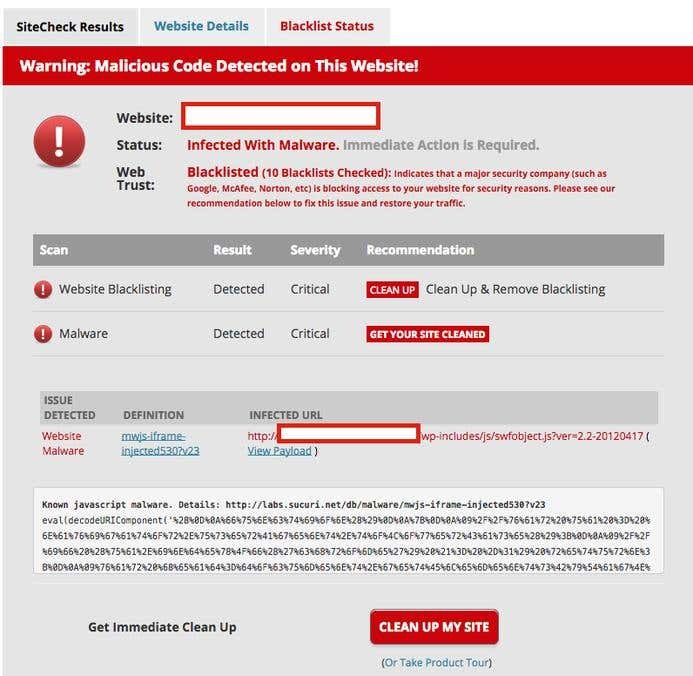 Visitors of infected sites may be redirected to a webpage that will attempt to download malware onto their computers. Google’s decision to block infected sites shortly after the vulnerability became known will hopefully prevent the malware from spreading any further. Solutions not yet found on older version of Revslider Plugin, but you can keep update latest plugin to avoid security loop hole. If your site already got infected by this malware you first update the plugins or better to remove it as well as there is a list of resources in this WordPress Support thread that can help you correct the problem.